Fossil Group, Inc. is an American manufacturer and designer of watches, handbags and bags, wallets, fragrance, accessories, and various leather products. They own the brands Fossil, Zodiac Watches, Relic, Abacus, Michele Watch, Misfit, Skagen Denmark, and WSI. Originally known as Overseas Products International, it was founded by Tom Kartsotis in 1984. It initially retailed imported moderately-priced fashion watches made in the Far East. Then, in 1990, they started retailing leather goods under the Fossil and Relic brands. It operates in more than 300 locations and employs 14,000 personnel all over the world. They license and manufacture watches for various brands like Adidas, Burberry, Emporio Armani, Tory Burch, Michael Kors, and Kate Spade. Employees get, at least, 10 days of personal time-off and 3 floating holidays. They provide full medical coverage, with employee contribution, for their employees and their immediate family. They provide 50 cents to the dollar contribution to employee 401k plans. Employees enjoy the positive, fun, and relaxed atmosphere in their workplaces. They have a passionate and accountable management that promotes for every individual’s personal and professional growth. Store employees are provided adequate flexibility in regards to their work schedules. How old do you have to be to work at Fossil? The minimum age required to work at fossil is 16 years. However, positions are limited to part-time retails store jobs only. These require at least a year of experience as a sales associate. Jobs are mainly divided into two categories: retail store positions and corporate positions. Retail positions only involve store associates and its store management. Corporate positions are mostly in watch design, electrical and software engineering, marketing, real estate leasing, and customer service. Brand Selling Specialist: The Brand Selling Specialist, or sales associate, provides customer service to retail store patrons and initiate customer engagement to create product sales. They also process transactions, entertain policy and directional-related questions, and greet the customers upon entry to the store. They are expected to exhibit excellent communication and persuasion skills. Store Assistant Manager: The Store Assistant Manager inspires and leads the sales associates to drive business, develop talent, and create loyalty for the brand. They must exercise a team-centric and balanced approached in leadership. They are expected to have a passion for providing excellent internal and external customer experience while having the flexibility to adjust to business needs. Store Manager: The Store Manager has a similar set of responsibilities and expectations to the Store Assistant Manager. However, unlike the Assistant Manager, they are also responsible for the recruiting and hiring the best talent for the store. Moreover, they oversee the overall efficiency of the store in creating sales and lasting customer relationships. 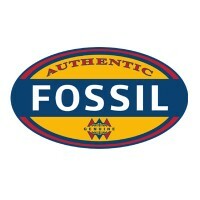 Customer Service Representative: The Customer Service Representative is the advocate and representative of the customer in Fossil’s organization. They provide technical support, order placement, trouble shooting, order tracking, and warranty and repairs assistance. Since they will be communicating through e-mail, phone, social media, and live chat, they must have excellent skill in verbal and written communication. Opportunities may be available for bilingual individuals. Account Executive: The Account Executive is assigned on a particular product group of the brand (Leathers, Watches, Bags, etc.). They manage and develop accounts that will help in the achievement of their monthly and annual sales targets. Based on client interaction, they create recommendations for new products, enhancements, and extensions. They must have good retail math, analytical, and communication skills. Intern: The intern could be assigned under a particular management personnel or organizational team. They work with internal and external customers to achieve operational and project targets. Depending on the function of their team, they are required to be pursuing the appropriate undergraduate or graduate degree (engineering, IT, media, or design) in an accredited university. Lease Administrator: The Lease Administrator obtains, prepares, and maintains information regarding the location and finances for the brand’s real estate process. To fulfill their responsibilities, they coordinate with internal and external partners in real estate, legal, operations, construction, and finance. Also, they review and maintain information on the different lease agreements of the business. They ensure the timely compensation of lease obligations. Web Marketing Analyst: The Web Marketing Analyst utilizes analytics and optimizations tools to create ideas and quantify results regarding web marketing efforts. They analyze and test data to create and recommend data-informed decisions for the business. They work closely with the business’ different teams such as marketing, customer relationship management, e-Commerce, brands, and IT. Assistant Watch Designer: The Assistant Watch Designer conceptualizes and designs watch collections reflective of the brand. They work closely with internal teams to reflect key stories and marketing campaigns for each season. They are expected to have a working knowledge of the retail market and a passion and understanding of the brand. This position will be assigned to a particular brand under Fossil. Human Resource Specialist: They are responsible for the administration, payroll, insurance, reporting, and coordination to support the various employees of the business. They provide advice and support to managers for their administrative human resource needs. They are expected to have a good grasp of SAP HRM and MS Office. For retail positions, application is done through their online careers portal. For corporate positions, application is done through a recruiter or their online careers portal. There are cases when in-store applications are entertained. However, this is a rare occurrence as online applications are the norm and provide a more convenient experience for the business and the applicant. Online application is done by browsing and selecting your chosen vacancy from a list. An account is required for easy access and this can be created with your personal e-mail, LinkedIn, Facebook, or Twitter account. Make sure that you write your resume with the position in mind. They are looking for passionate, articulate, and team-oriented individuals so make sure to make a way for your resume to reflect these as well. For retail positions, the interview would be conducted by the manger. Since they are looking for individuals who have a passion for their brand and industry, conveying a professional yet style-savvy image during the interview will go a long way. They pride themselves as a workplace of innovative spirit and endless curiosity while having a serious sense of humor. They pursue excellence while maintaining a relationship with the world and their valued people, and following their core values. From 2012 to 2015, they have acquired two brands, Misfit and Skagen Designs, that has a combined worth, at the time of purchase, of $500 million. They won the 2016 Fashion Tech Collection of the Year for their smartwatches and jewelry. They are mainly known for their watches but, with their foray into smart wearables, they are starting to make a name in jewelry. Other than this, they have designed and manufactured various collectibles for popular films and pop culture characters. They have social efforts in North America, Europe, Africa, and Asia. Employees get to be involved through the volunteer time-off program and the pro-bono skill sharing. 1 How old do you have to be to work at Fossil?